So, here we all were. Wasn’t it nice to be in the car together as a family? My parents, me … and my ghosts. Sixteen year old Mimi Alston has company. No less than three ghosts follow her around, and only she can see them. At her last school, she was known as the girl-with-imaginary-friends. Now Mimi’s starting fresh in a new town, where she’s determined to make some real friends and fit in for once. She’s ready for a normal life … except Mimi never counted on her fascination with troubled Goth-boy, Drew. When she’s invited to join the elite Gifted Program, Mimi discovers she’s not the only one at the school with an unusual ‘talent.’ Maybe being normal isn’t even an option anymore. A suspenseful tale of secrets and first love, The Seventh pulls you into a world of premonitions, psychic powers, and friendships forged in unlikely places. 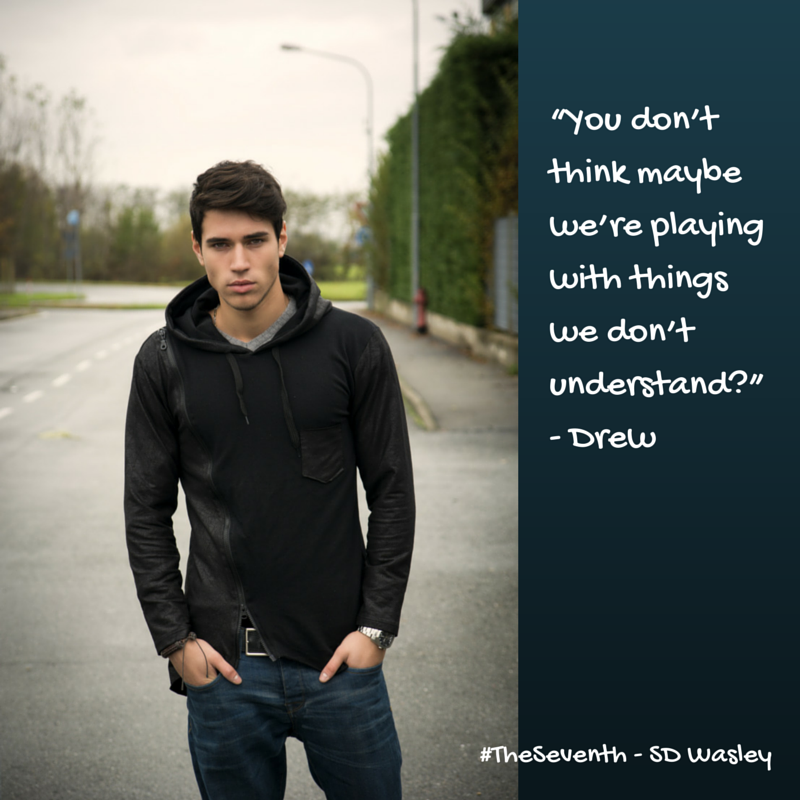 The Seventh is SD Wasley’s debut novel, released 23 January 2015. It has been awarded the Editor’s Pick seal by the Evernight editing team. I’m giving away an ebook copy of Summer Crush anthology including my contemporary romance short story, Exquisite Torture. Comment below to go in my prizedraw! Rafflecopter $100 giftcard giveaway here! Back to the Evernight Teen blog! Thanks for the chance to win!! The Seventh sounds amazing btw. Great looking book. Thanks for sharing! !